EduLeader’s Effective Meeting Management Program can improve your meeting productivity by 40%. If you have 100 managers in your company, this translates into recapturing $2.5 MILLION of lost savings each year from time wasted in unproductive meetings. Improve your time management, communication, meeting efficiency and leadership skills with EduLeader’s Effective Meeting Management Program. Our programs is designed to deliver results and create culture shifts through focused actions which translate into more productive meetings allowing you and your team to have more time to achieve your company’s vision. Below are impressive performance results from executives, managers, and staff* one year after taking the Effective Meeting Management Program. HOW MUCH DO MEETINGS COST YOUR COMPANY? Use our calculator to find out the average monthly cost of your meetings. *Values from Harvard Business Review meeting cost calculator. What Percentage of Meetings Los​e Money? ​Time is Money. And studies show that a ​large percentage of meetings do not meet their objectives, ​resulting in ​both ​wasted ​time and ​money. ​Want to learn the average percentage of ​unproductive ​meetings ​that could be losing you​r company​ money​ unnecessarily​? 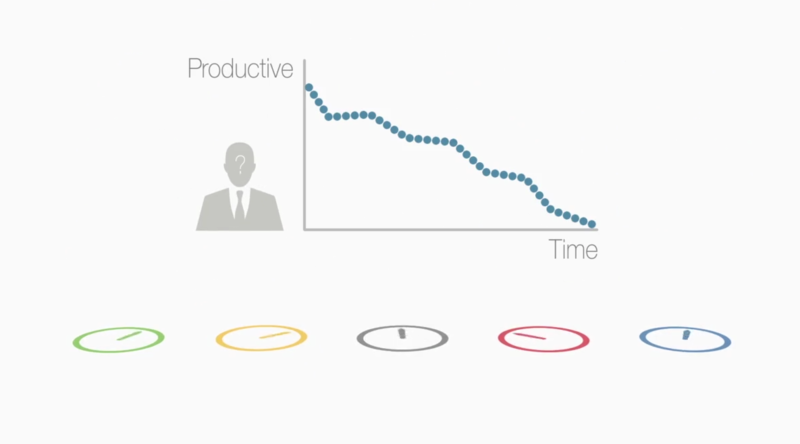 Imagine how much you could save if your meetings were managed more effectively! Harvard Business Review studies reveal that those companies managing time most effectively show an 180% differential in total shareholder return over 10 years compared to other companies in their industries. Time wasted in ineffective meetings decreases productivity, depletes energy and inhibits collaboration. Facilitating and participating in effective meetings helps to grow revenue and creates a more productive culture, enabling faster strategic decisions, better implementation and greater innovation. Strengthen your financial results by increasing your individual and organizational competencies around skills that will save time and increase energy, creativity and collaboration throughout the culture. Watch our Effective Meeting Management Program trailer. Copyright © 2015-2017 EduLeader LLC. All Rights Reserved.